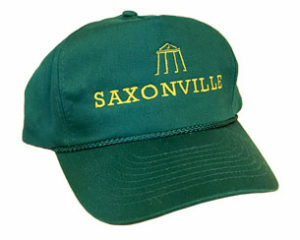 What better way to demonstrate your Saxonville pride, whether you're here or anywhere else in the world? These items make great gifts for current or past Saxonville residents, or anyone else to whom you want to spread some Saxonville spirit! As of January 1, 2018, Framingham stores will no longer offer plastic bags at check out. Our large reusable shopping bag is a great green solution, and a useful gift idea. 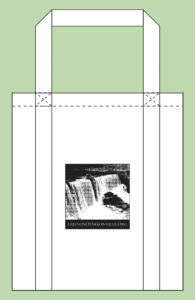 The cloth bags are white, and feature a B/W photograph of the Saxonville Falls at Central Street by Lynne Damianos. Bag size is 13"W x 14"H x 9.5"D with a 5 x 5" imprint. 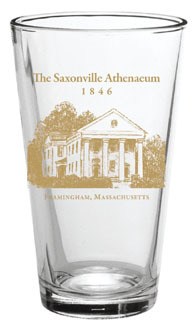 Proceeds of the sale of these glasses will help support The Saxonville Athenaeum Restoration Project. Email Paula Longden to purchase and for delivery options. Note: There is an additional $10 shipping/handling charge for items purchased for delivery outside Framingham. Please select the appropriate delivery option when making your purchase. Click Add to Cart for delivery in Framingham. 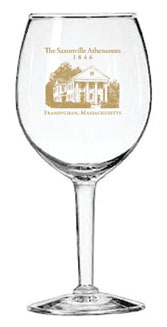 Click Add to Cart for delivery outside Framingham ($10 shipping fee). This 206-page book features an extensive history and 300 photographs of the mills from 1659 to the present day. A portion of the proceeds from book sales will benefit the Friends of Saxonville. Note: There is a $10 shipping charge for books delivered to addresses outside Framingham. Please select the appropriate option when making your purchase. 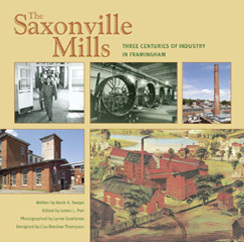 Click Add to Cart to order The Saxonville Mills for delivery in Framingham. Click Add to Cart to order The Saxonville Mills for delivery outside Framingham ($10 shipping fee). Forest green with SAXONVILLE in gold stitching across the front and below the FOS Athenaeum logo. Click Add to Cart to order a Baseball Cap for delivery in Framingham. Click Add to Cart to order a Baseball Cap for delivery outside Framingham ($10 shipping fee). 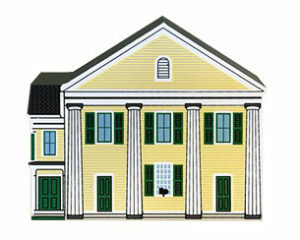 A full-color hand-sized decorative representation of the distinctive Athenaeum in Saxonville. Click Add to Cart to order the Athenaeum Woodcut for delivery in Framingham. Click Add to Cart to order the Athenaeum Woodcut for delivery outside Framingham ($10 shipping fee).